Joseph Raymond Conniff (November 6, 1916 – October 12, 2002) was an American bandleader and arranger best known for his Ray Conniff Singers during the 1960s. Conniff was born in Attleboro, Massachusetts, and learned to play the trombone from his father. He studied music arranging from a course book. After serving in the U.S. Army in World War II (where he worked under Walter Schumann), he joined the Artie Shaw big band and wrote many arrangements for him. After his stint with Shaw, he was then hired by Mitch Miller, then head of A&R at Columbia Records, as their home arranger, working with several artists including Rosemary Clooney, Marty Robbins, Frankie Laine, Johnny Mathis, Guy Mitchell and Johnnie Ray. He wrote a top 10 arrangement for Don Cherry's "Band of Gold" in 1955, a single that sold more than a million copies. Among the hit singles he backed with his orchestra (and eventually with a male chorus) were "Yes Tonight Josephine" and "Just Walkin' in the Rain" by Johnnie Ray; "Chances Are" and "It's Not for Me to Say" by Johnny Mathis; "A White Sport Coat" and "The Hanging Tree" by Marty Robbins; "Moonlight Gambler" by Frankie Laine; "Up Above My Head," a duet by Frankie Laine and Johnnie Ray; and "Pet Me, Poppa" by Rosemary Clooney. He also backed up the albums Tony by Tony Bennett, Blue Swing by Eileen Rodgers, Swingin' for Two by Don Cherry, and half the tracks of The Big Beat by Johnnie Ray. In these early years he produced similar-sounding records for Columbia's Epic label under the name of Jay Raye (which stood for "Joseph Raymond") amongst them a backing album and singles with Somethin' Smith and the Redheads, an American male vocal group. Between 1957-68, Conniff had 28 albums in the American Top 40, the most famous one being Somewhere My Love (1966). He topped the album list in Britain in 1969 with His Orchestra, His Chorus, His Singers, His Sound, an album which was originally published to promote his European tour (Germany, Austria, Switzerland) in 1969. He also was the first American popular artist to record in Russia—in 1974 he recorded Ray Conniff in Moscow with the help of a local choir. His later albums like Exclusivamente Latino, Amor Amor, and Latinisimo made him very popular in Latin-American countries, even more so after performing in the Viña del Mar International Song Festival. In Brazil and Chile he was treated like a young pop superstar in the 1980s and 1990s when he was in his 70s and 80s. He even played live with his orchestra and eight-person chorus in large football stadiums as well as in Viña del Mar. Conniff commented, "One time I was recording an album with Mitch Miller - we had a big band and a small choir. I decided to have the choir sing along with the big band using wordless lyrics. The women were doubled with the trumpets and the men were doubled with the trombones. In the booth Mitch was totally surprised and excited at how well it worked." Because of the success of his backing arrangements, and the new sound Conniff created, Miller allowed him to make his own record, and this became the successful ’s Wonderful!, a collection of standards that were recorded with an orchestra and a wordless singing chorus (four men, four women). He released many more albums in the same vein, including ’s Marvelous (1957, gold album), ’s Awful Nice (1958), Concert in Rhythm (1958, gold album), Broadway in Rhythm (1958), Hollywood in Rhythm (1959), Concert in Rhythm, Vol. II (1960), Say It With Music (1960), Memories Are Made of This (1960, gold album), and ’s Continental (1962). His second album was Dance the Bop! (1957). It was an experiment by one of the brass at Columbia to cash in on a conceived dance step creation, but from the outset, Conniff disliked it. When it sold poorly, he had it withdrawn from the market. In 1959 he started The Ray Conniff Singers (12 women and 13 men, comprising mainly the Ron Hicklin Singers with augmentation by others) and released the album It's the Talk of the Town. This group brought him the biggest hit he ever had in his career: Somewhere My Love (1966). The lyrics of the album's title selection were written to the music of "Lara's Theme" from the film Doctor Zhivago, and the result was a top 10 single in the US. The album reached the US top 20 and went platinum, and Conniff won a Grammy. The single and album also reached high positions in the international charts (a.o. Australia, Germany, Great Britain, Japan), while the first of four Christmas albums by the Singers, Christmas with Conniff (1959) was also successful. Nearly 50 years after its release, in 2004, Conniff was posthumously awarded a platinum album/CD. Other well-known releases by the Singers included Ray Conniff's Hawaiian album (1967), featuring the hit song "Pearly Shells" and "Bridge Over Troubled Water" (1970), which included Conniff's original composition "Someone", and remakes of such hits as "All I Have to Do is Dream", "I'll Never Fall in Love Again", and "Something". Musically different highlights in Conniff's career are two albums he produced in cooperation with Billy Butterfield, an old friend from earlier swing days. Conniff Meets Butterfield (1959) featured Butterfield's solo trumpet and a small rhythm group; Just Kiddin' Around (after a Conniff original composition from the 1940s), released 1963, featured additional trombone solos by Ray himself. Both albums are pure light jazz and did not feature any vocals. Conniff recorded in New York from 1955–61, and mainly in Los Angeles from 1962 through 2000. Later in the 1960s he produced an average of two instrumental and one vocal album a year. In 1979, Conniff was hired to re-arrange and record a new version of "Those Were The Days" and "Remembering You", the opening and closing themes to All In The Family for Carroll O'Connor's new spin-off, Archie Bunker's Place on CBS with a small ensemble, trombone solo, and honky-tonk piano. Conniff sold about 70 million albums worldwide, and continued recording and performing until his death in 2002. Ray Conniff died in Escondido, California, after falling and hitting his head on the sink, and is buried in the Westwood Village Memorial Park Cemetery in Los Angeles, California. His grave marker bears a musical score with the first four notes of "Somewhere My Love". Conniff left his wife, Vera; a daughter, Tamara Conniff; and three grandchildren. His son, Jimmy Conniff, died in 2015. In 2004, a memorial two-CD compilation set, The Essential Ray Conniff, was released, featuring many rare and previously unreleased tracks. The Singles Collection, Vol. 1 was released on the Collectables label in 2005, The Singles Collection, Vol. 2 in 2007, and Vol. 3 was released in 2009. These collections feature rare singles and previously unissued tracks. His music is also featured prominently in the movie There's Something About Mary. 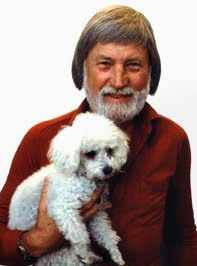 Ray Conniff was one of the most successful easy listening artists on the Billboard magazine album chart, placing 30 albums on their Billboard Hot 200 charts to 1973. The group went on to record over 90 albums. Three volumes of "The Singles Collection". A special version of the song "Happiness Is" was recorded for use in a TV commercial for Kent cigarettes, prior to the ban on TV advertising of tobacco products. Since many radio stations in the US adopt a format change to Christmas music each December, many holiday hits have an annual spike in popularity during the last few weeks of the year and are retired once the season is over. In December 2011, Billboard began a Holiday Songs chart with 50 positions that monitors the last five weeks of each year to "rank the top holiday hits of all eras using the same methodology as the Hot 100, blending streaming, airplay, and sales data", and in 2013 the number of positions on the chart was doubled, resulting in the Holiday 100. Two recordings by Conniff and The Singers have made appearances on the Holiday 100 and are noted below according to the holiday season in which they charted there. ^ Bush, John. "Ray Conniff Biography". ARTISTdirect. ARTISTdirect, Inc. Retrieved 2009-03-25. ^ "Dance The Bop!". Comcast.rayconniff.info. Retrieved 2015-08-19. ^ "Holiday 100: The week of December 12, 2015". billboard.com. Retrieved 9 March 2019. ^ "Holiday 100: The week of December 16, 2017". billboard.com. Retrieved 9 March 2019. ^ "Holiday 100: The week of December 8, 2018". billboard.com. Retrieved 9 March 2019. ^ "Holiday 100: The week of January 5, 2019". billboard.com. Retrieved 9 March 2019.